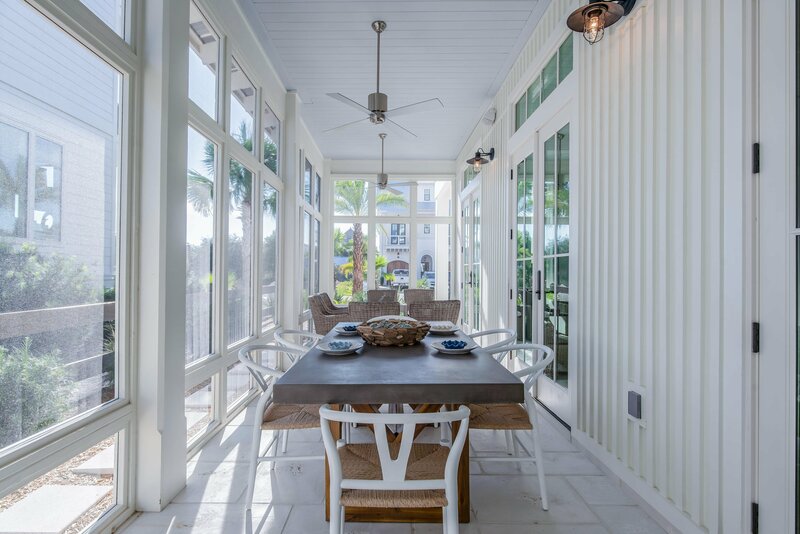 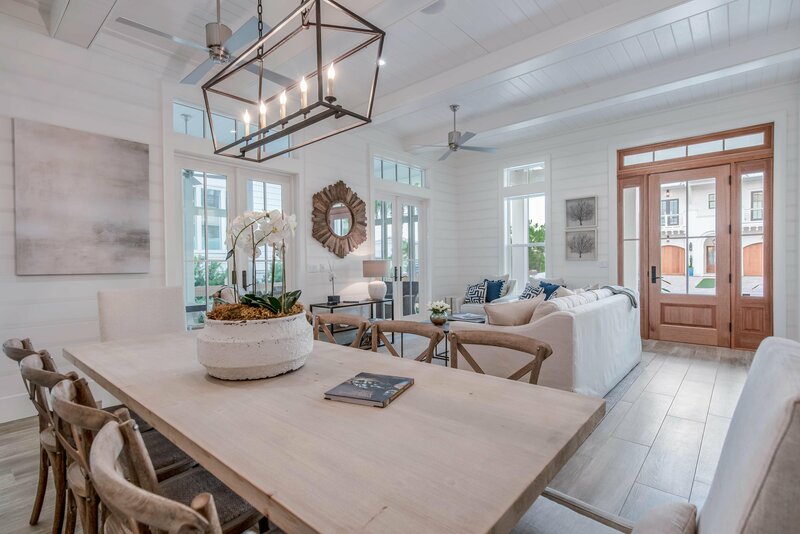 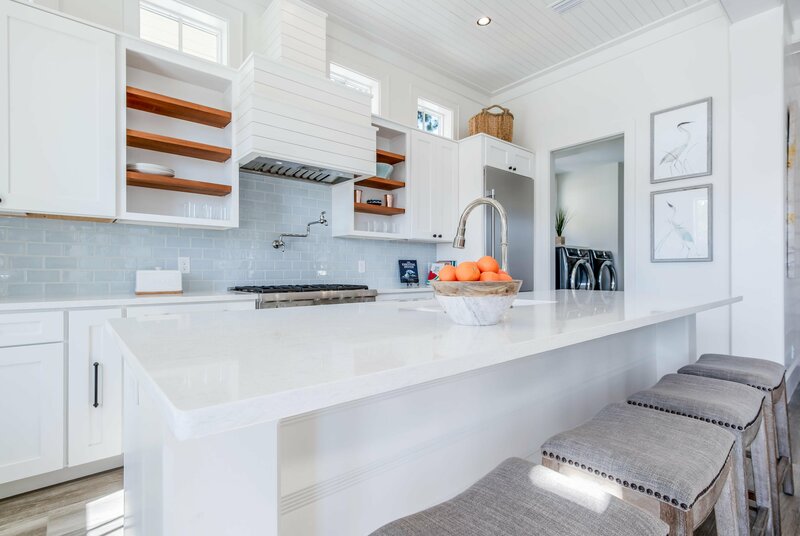 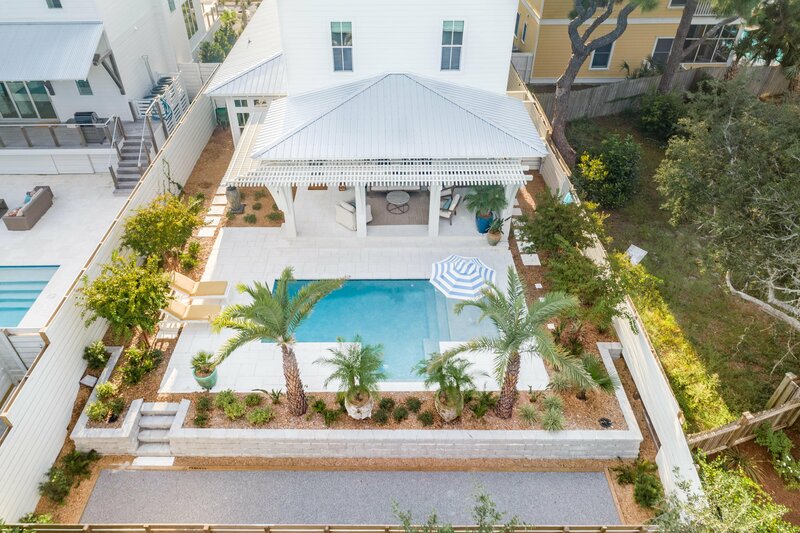 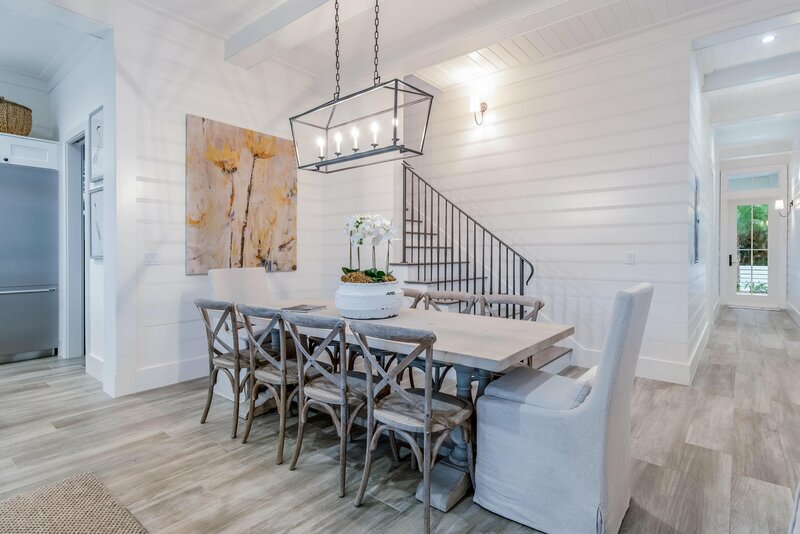 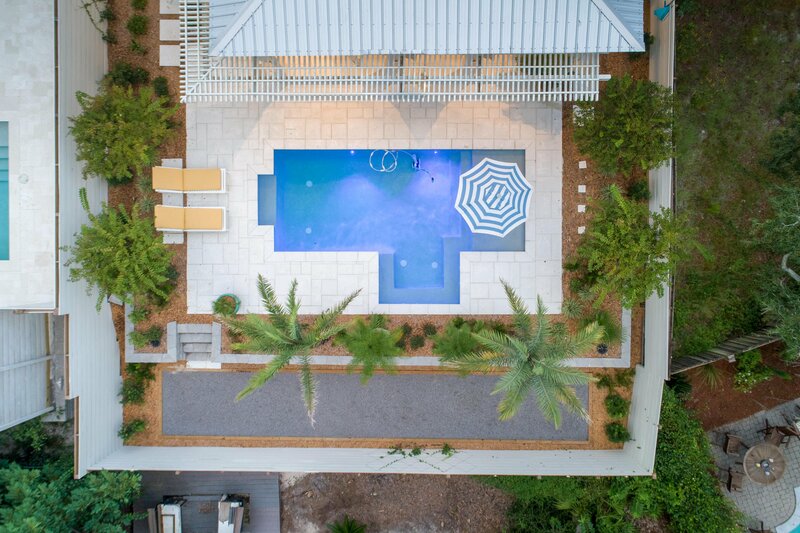 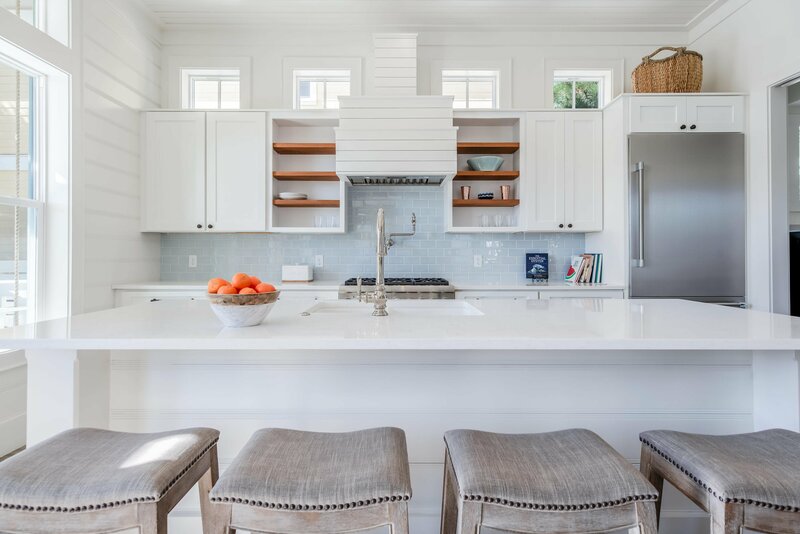 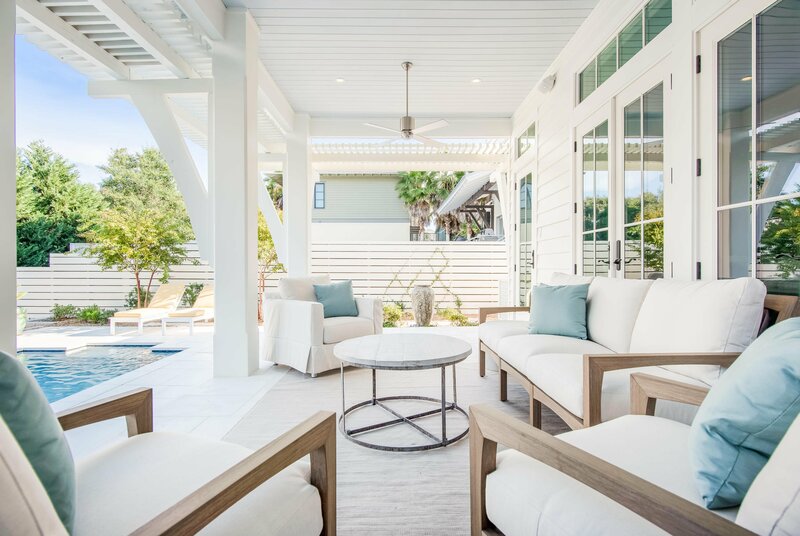 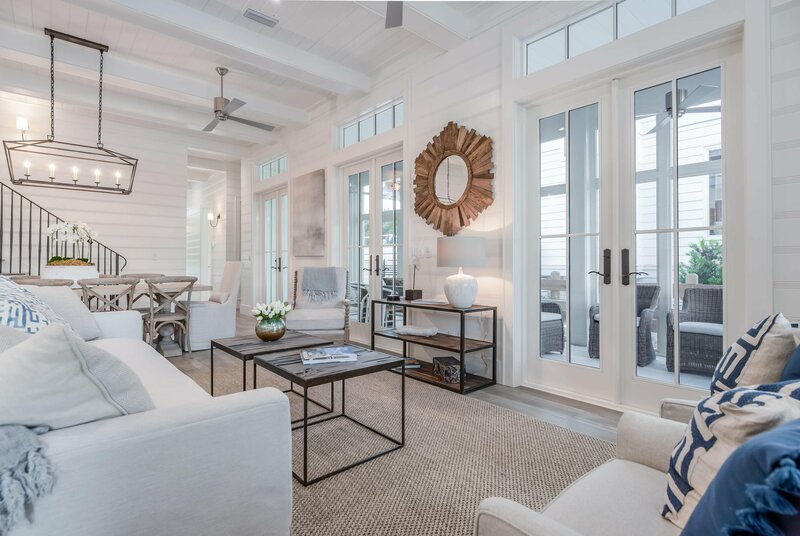 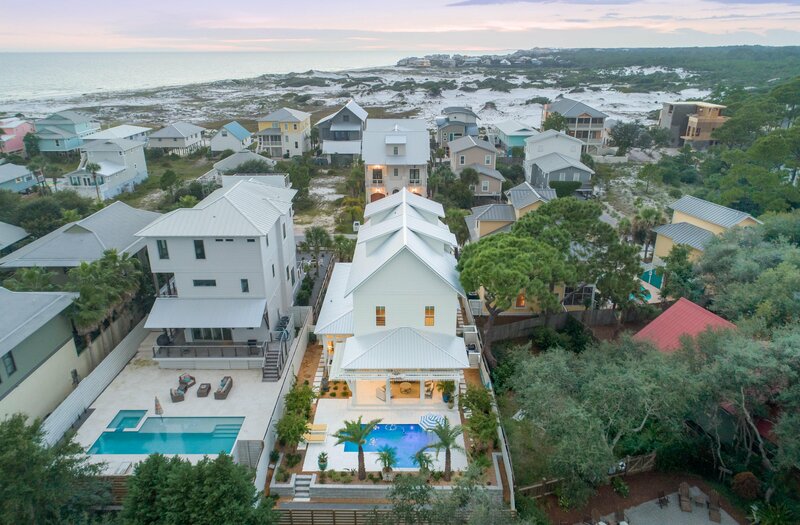 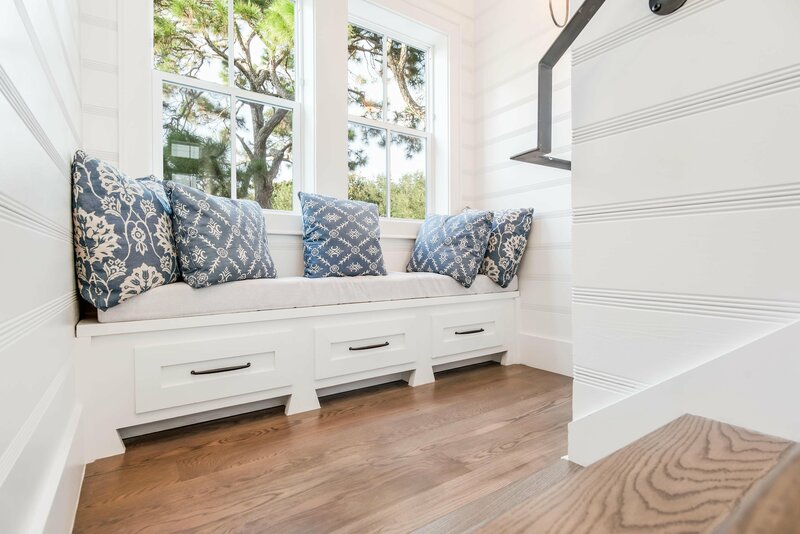 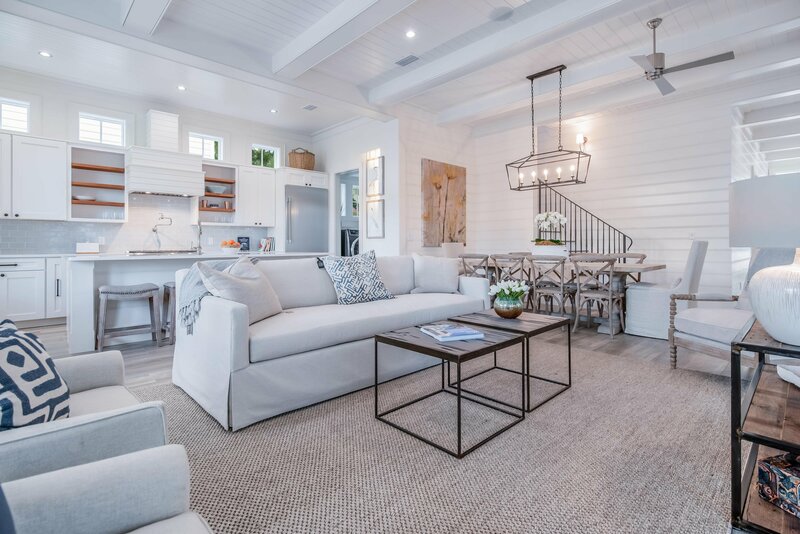 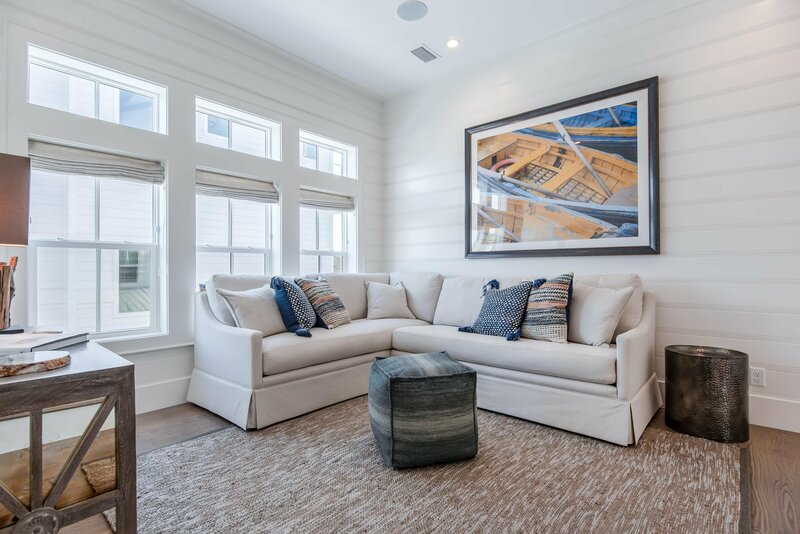 This newly constructed custom home is a beautiful little architectural gem located in the highly sought after Grayton Beach. 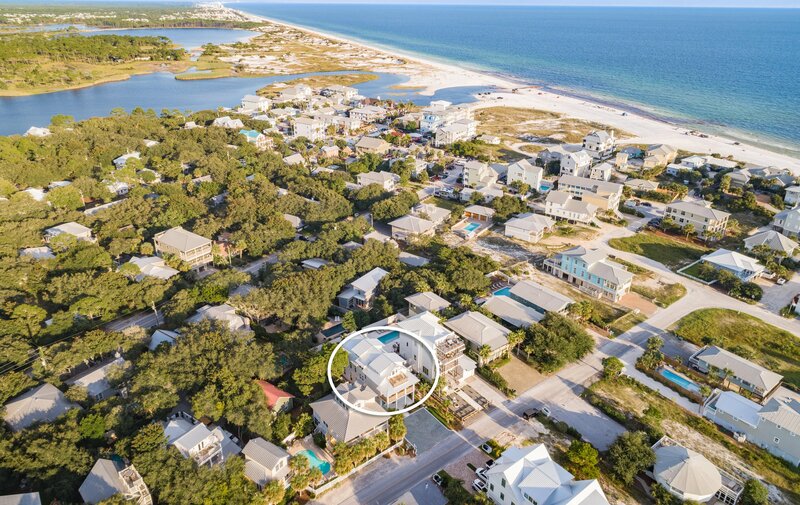 This 5 bedroom, 5 1/2 bath home is located on a quiet street away from the hustle and bustle of Grayton Beach proper, but yet a quick walk to The Zoo Gallery, Chiringo, etc. 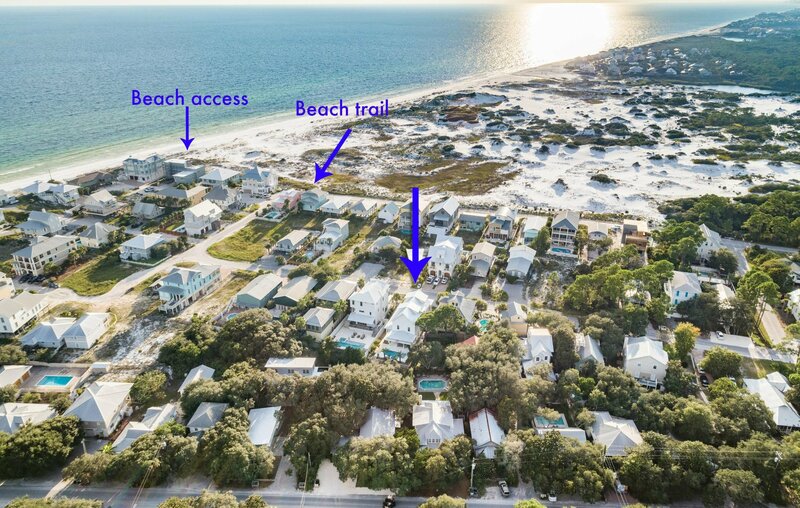 This location ensures you are close to the action, but yet tucked away from the main thoroughfare. 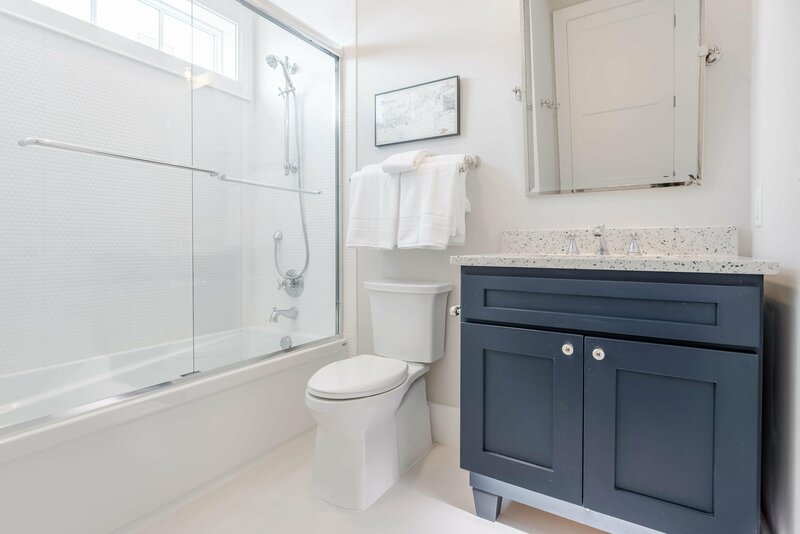 Casual luxury living describes this finely built home full of beautiful upgrades throughout. 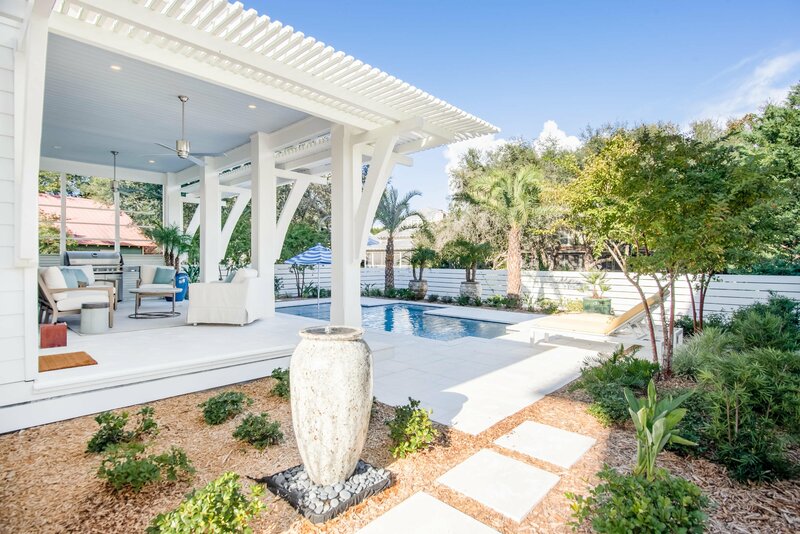 The house consists of 3,606 SF heated & cooled with an open floor plan and expansive covered outdoor living areas. 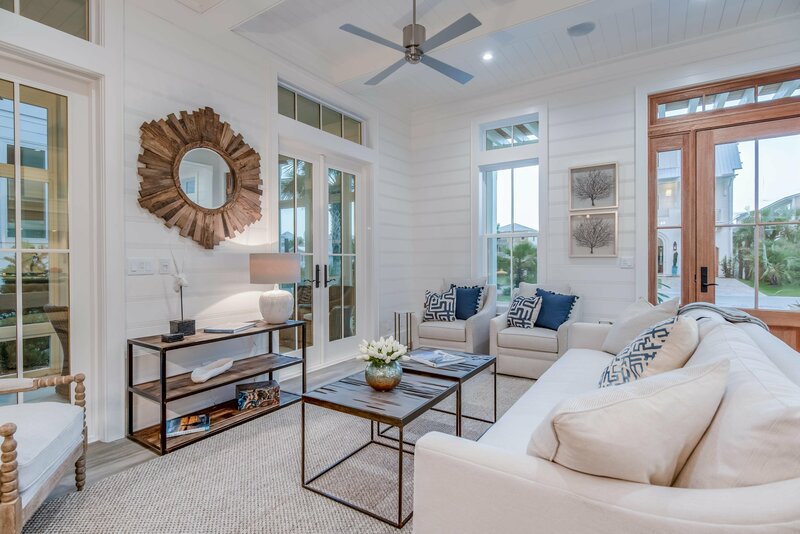 It has huge windows and glass doors that invite the beautiful outdoors and sunshine in, a large screened in porch, beamed ceilings, top quality engineered wide panel oak floors, and recessed lighting. 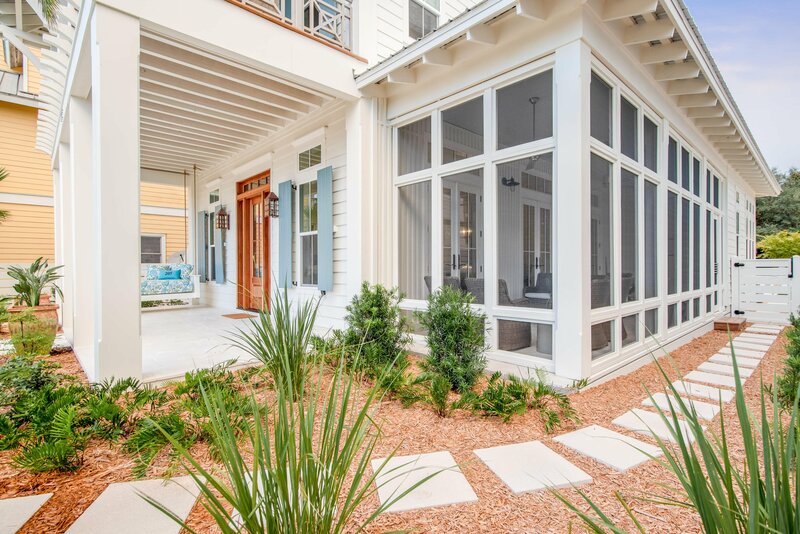 These are only a few of the unique qualities this home offers. 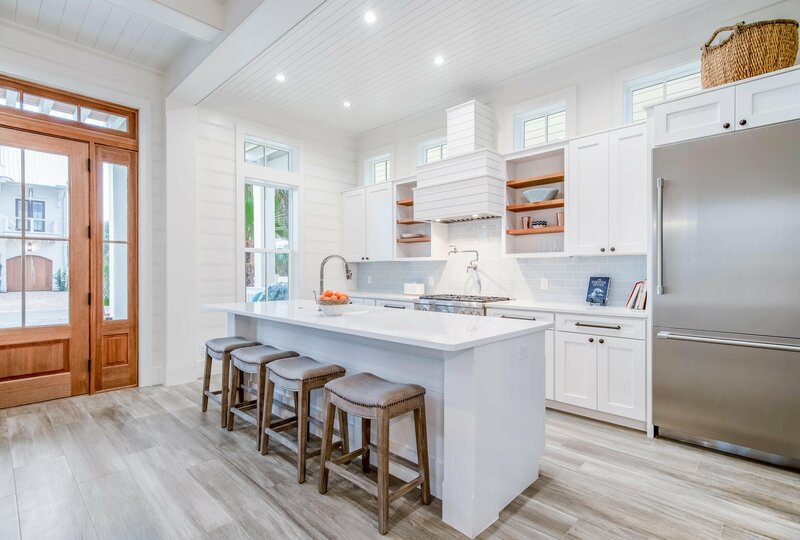 The kitchen features beautiful custom cabinets, top of the line Thermador stainless steel appliances, including their 6 burner gas stove. 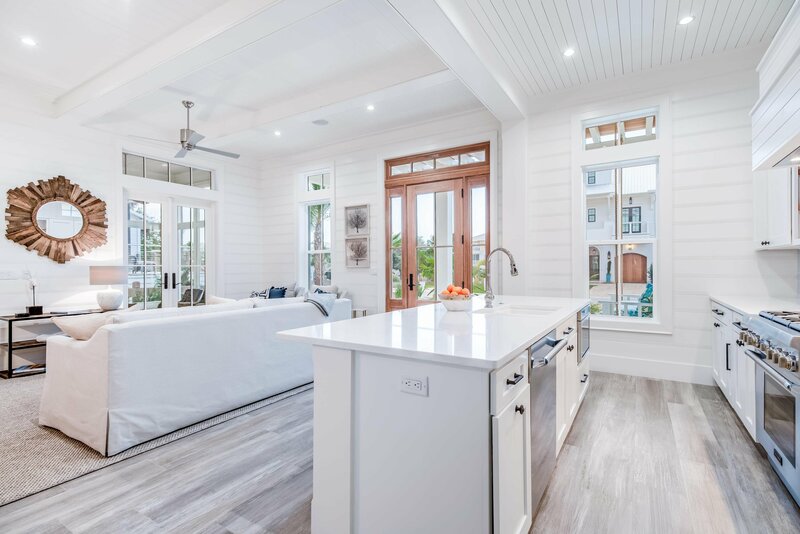 It has a large kitchen island, quartzite countertops, beautiful plank tile flooring, and an enormous walk-in butler pantry/laundry room. 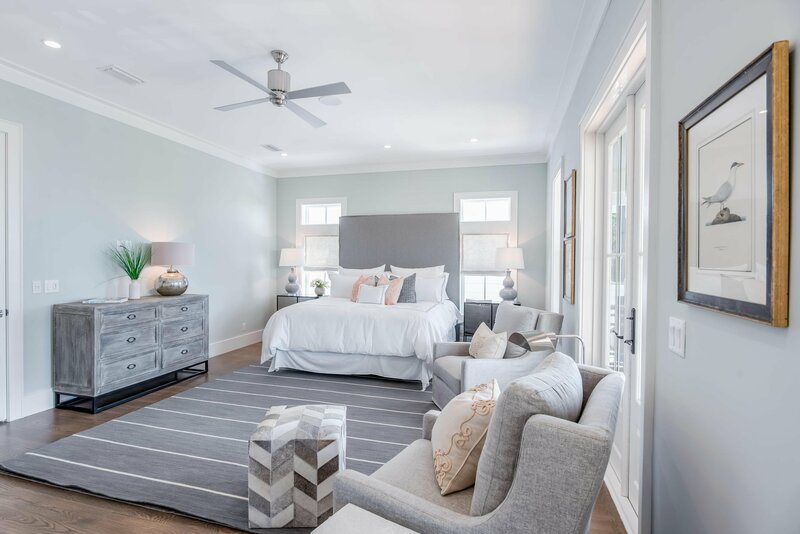 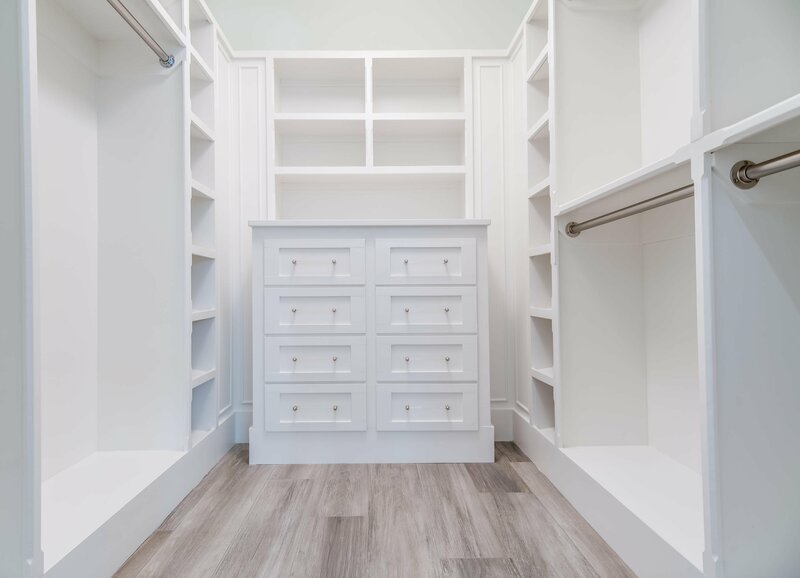 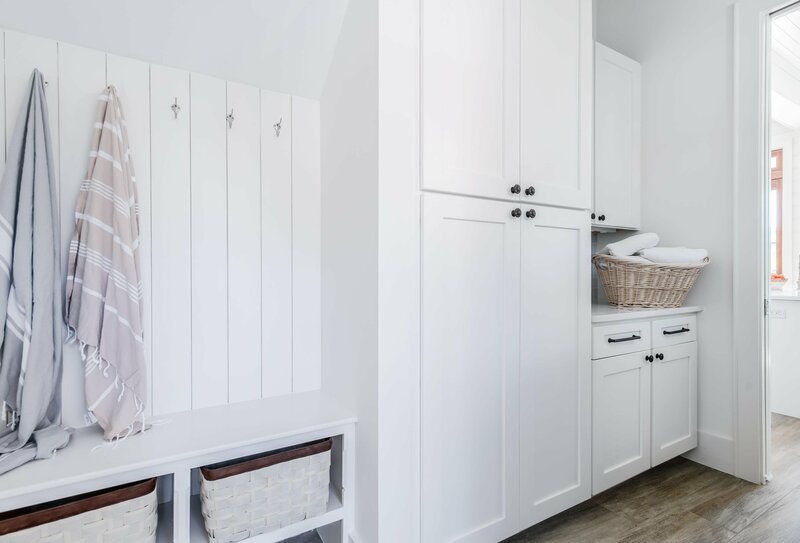 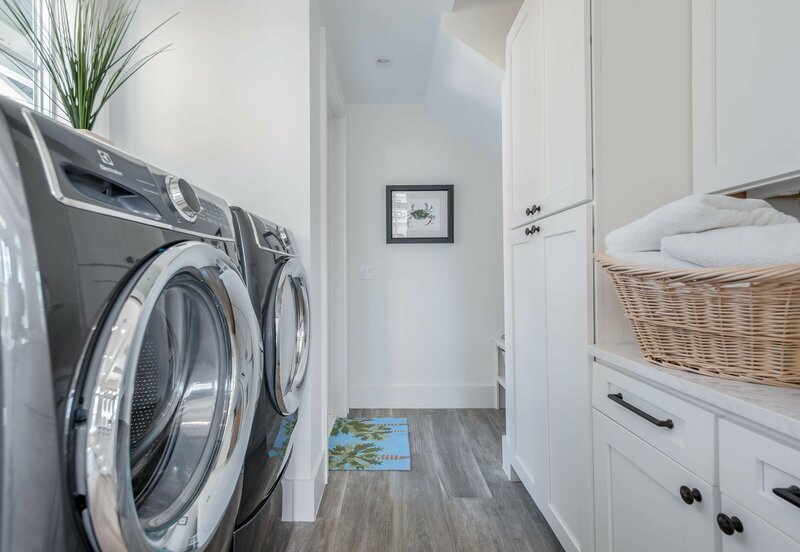 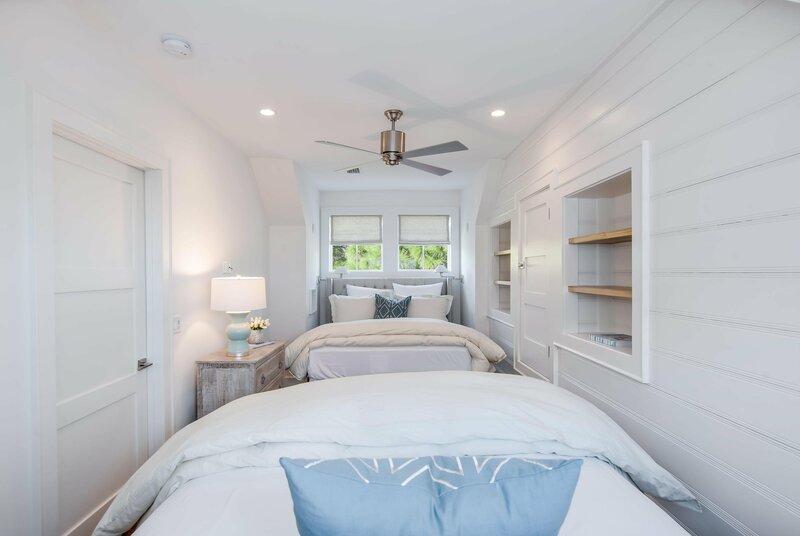 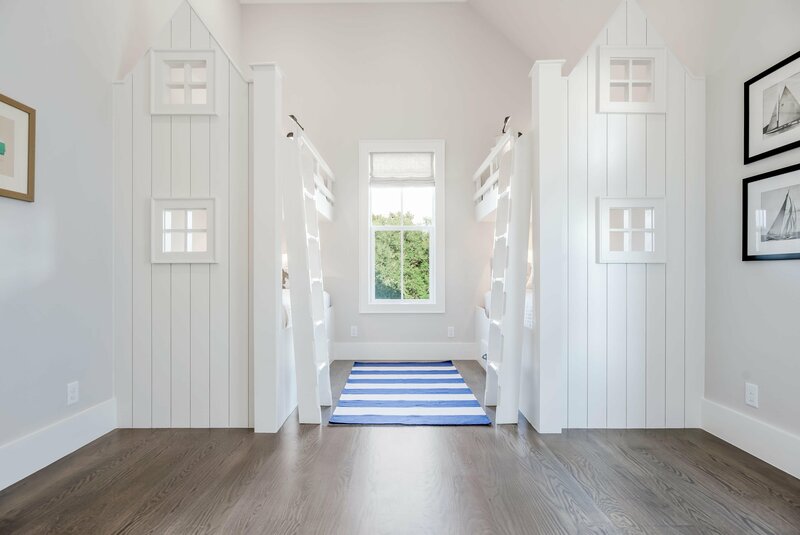 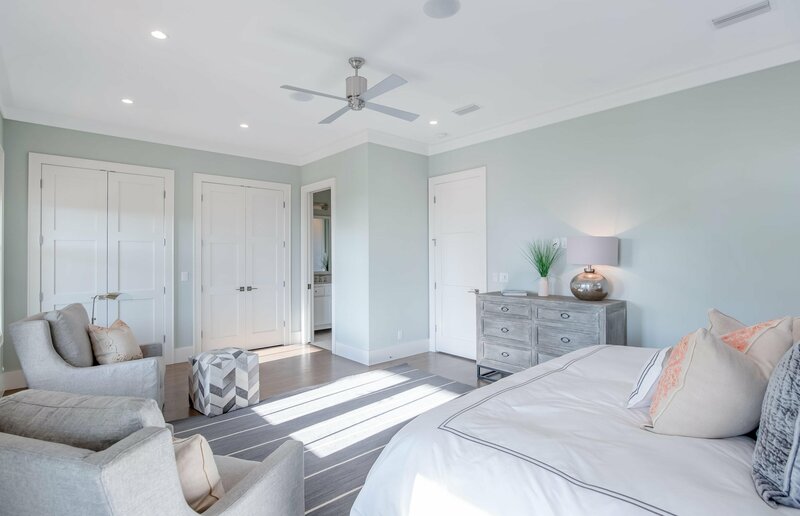 First floor master suite graces 4 large glass doors leading to the private back porch, built-in shelving, huge walk-in closet and a well-designed master bath. 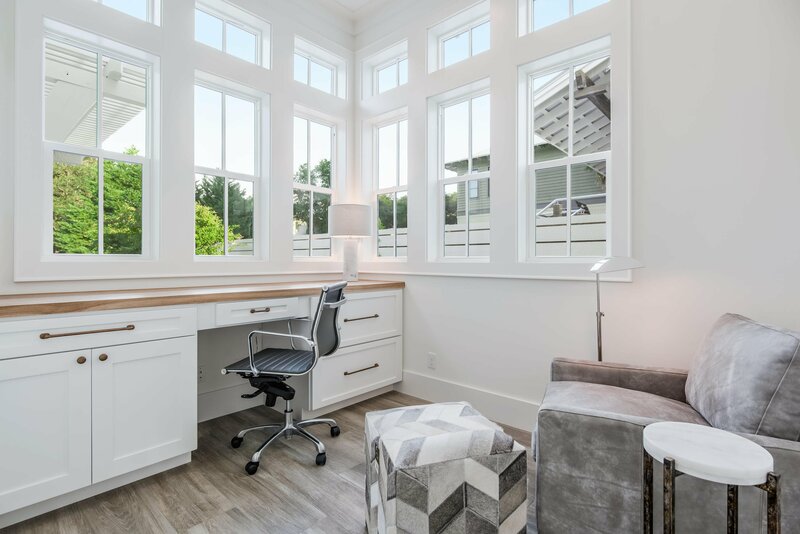 Next to the master suite is a tucked away office loaded with bright windows. 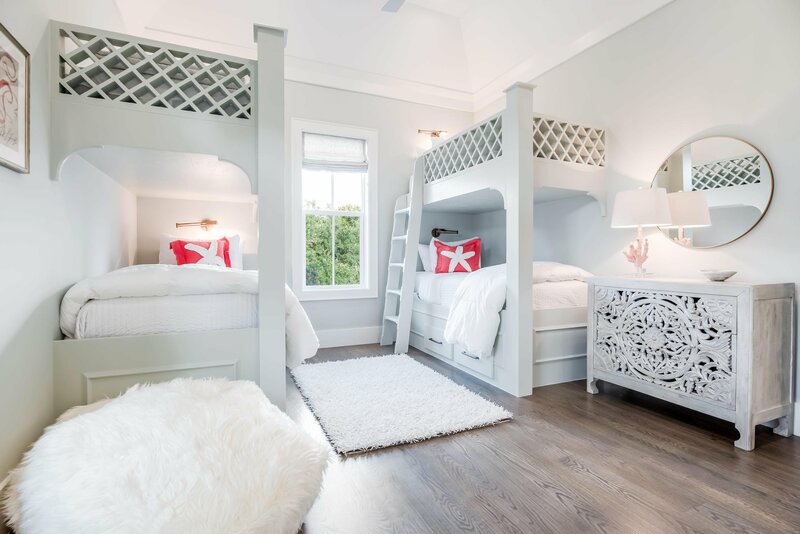 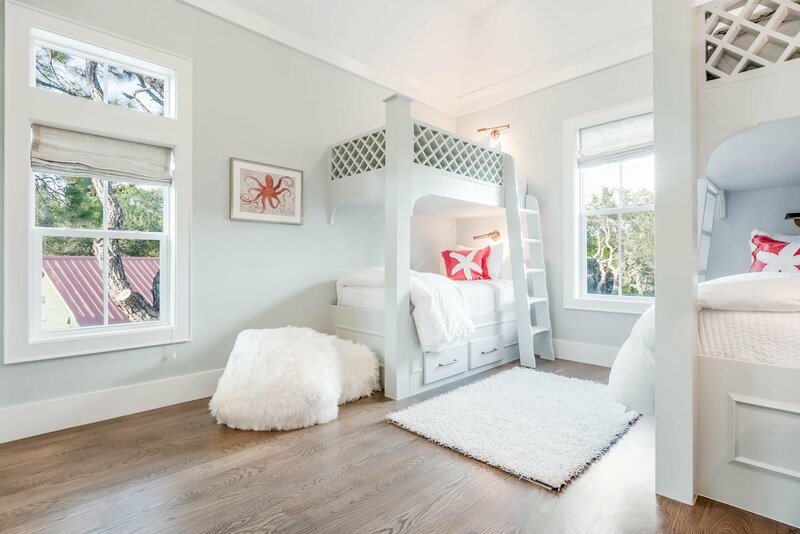 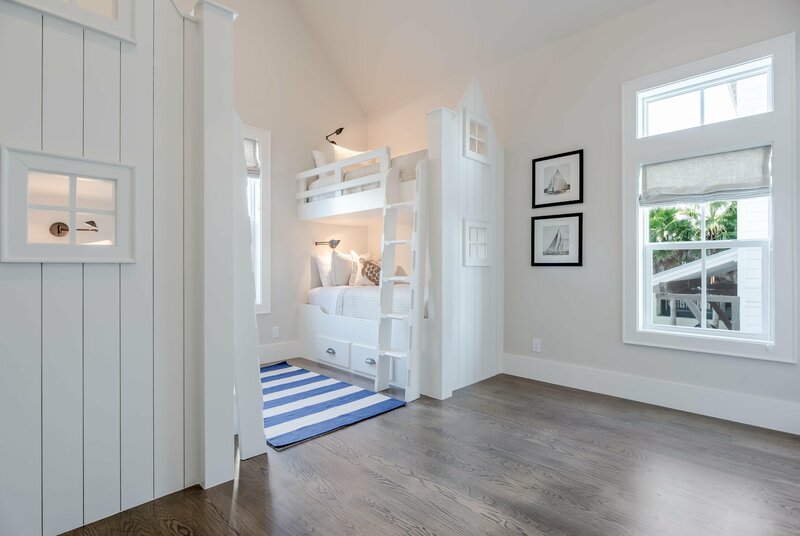 On the second floor there is a second master suite, 2 guest bedrooms with custom built bunkbeds and a sitting area. 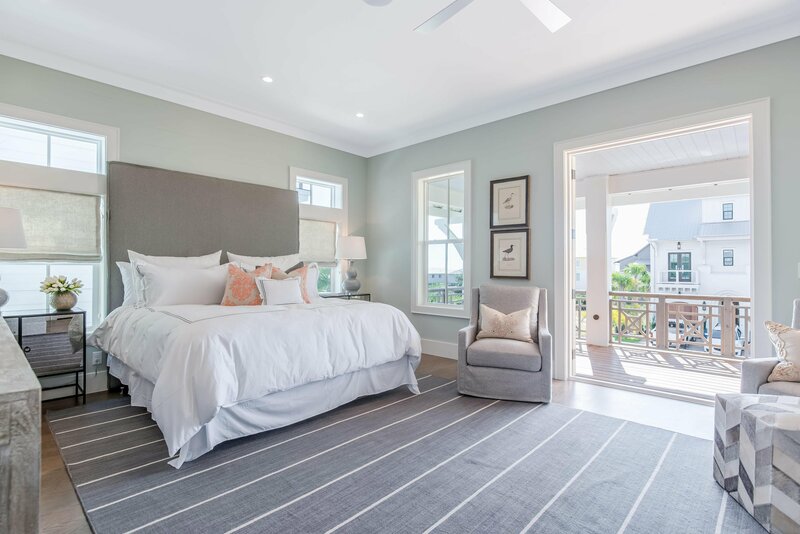 The master bedroom opens to a large covered balcony with lovely views. 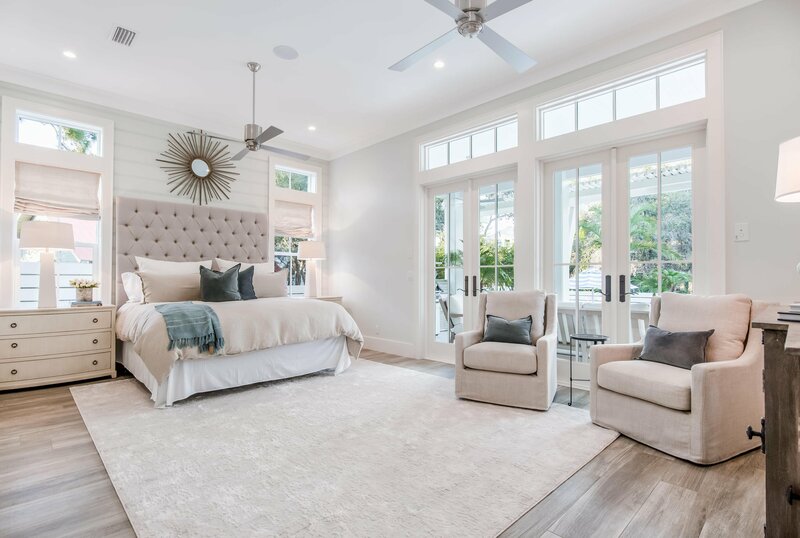 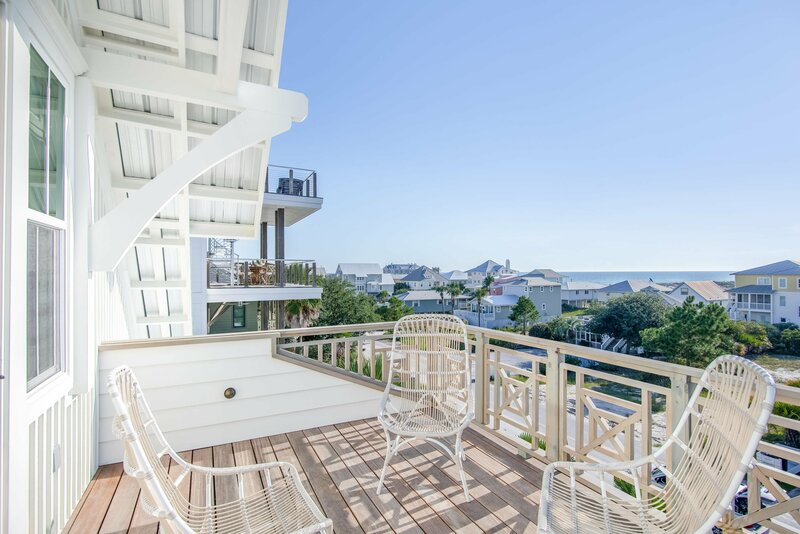 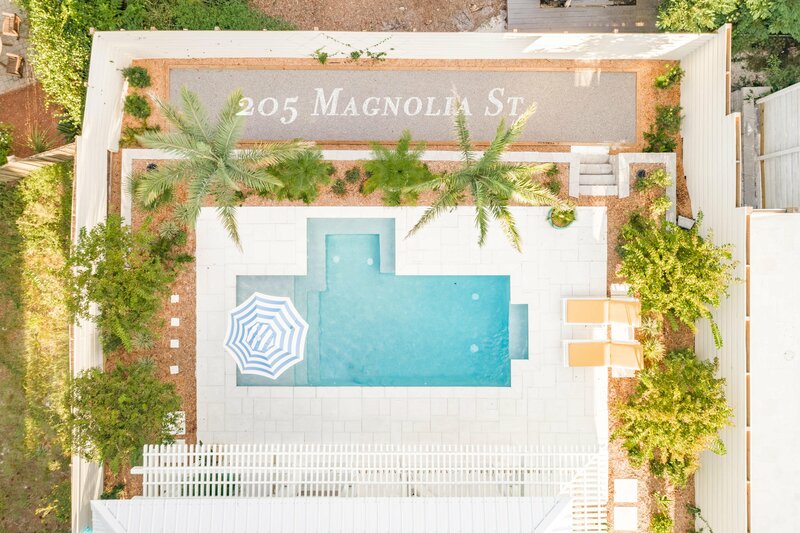 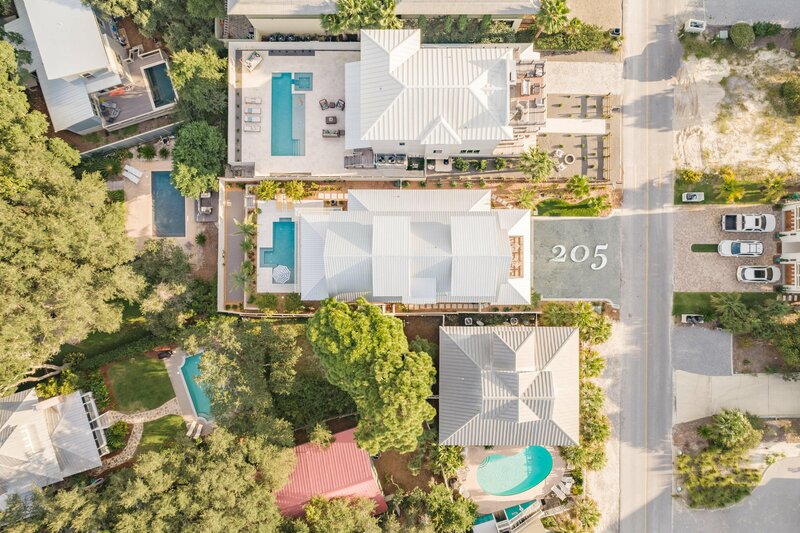 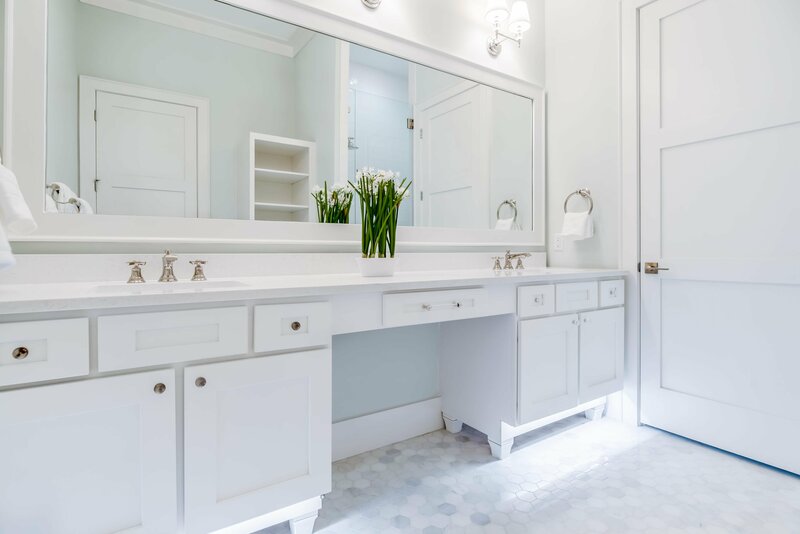 The third floor boasts a half bath, additional bedroom, and a huge living area or additional bedroom, that can be opened to the balcony for breath taking gulf views. 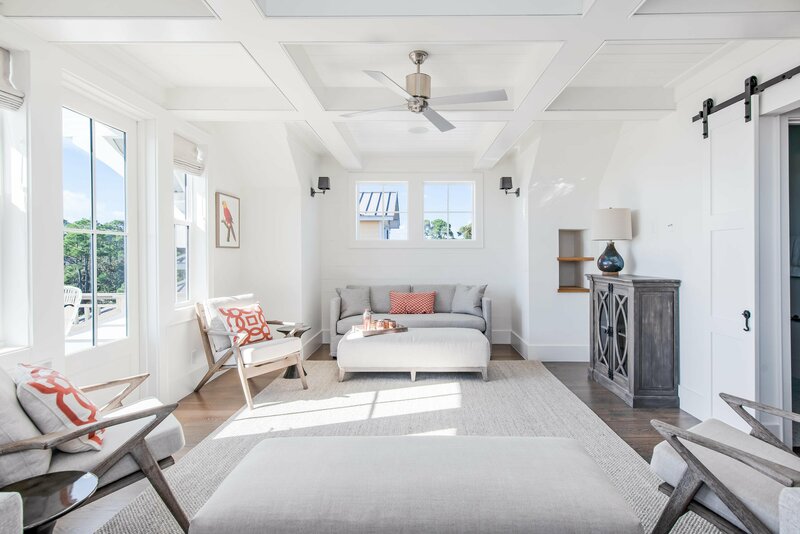 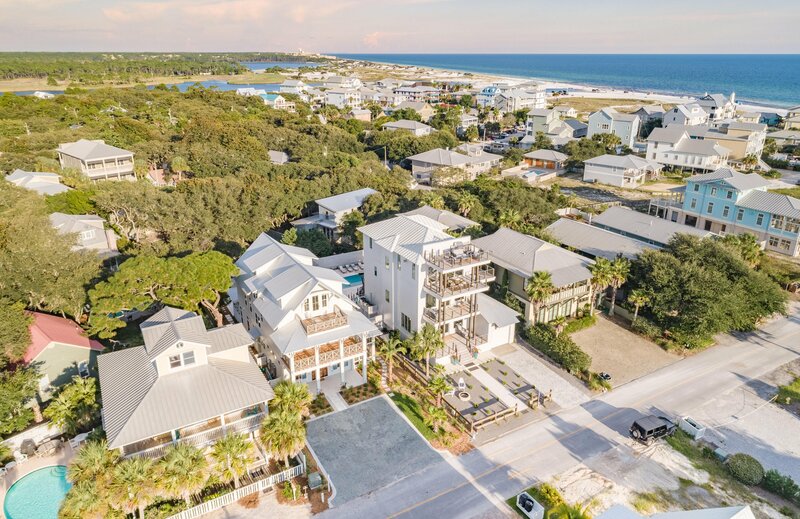 The exterior has 1,172 SF of living space consisting of 3 large porches on the ground floor and a large covered balcony off the master bedroom on the second level. 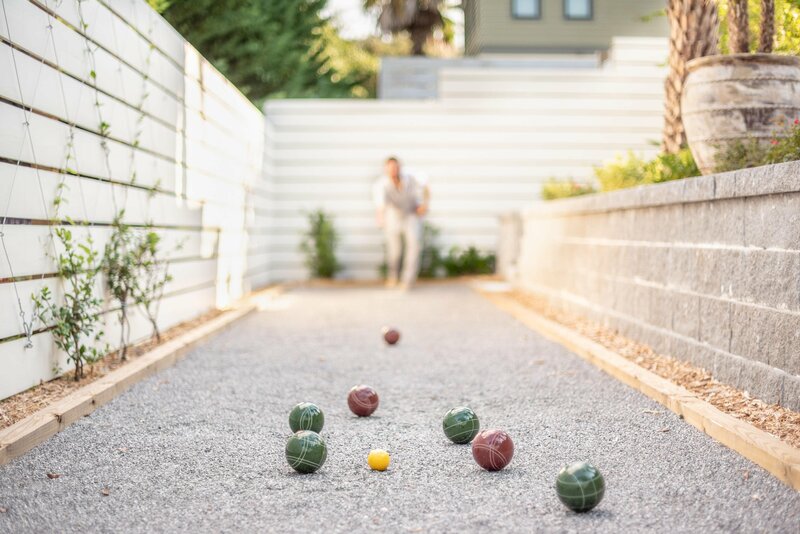 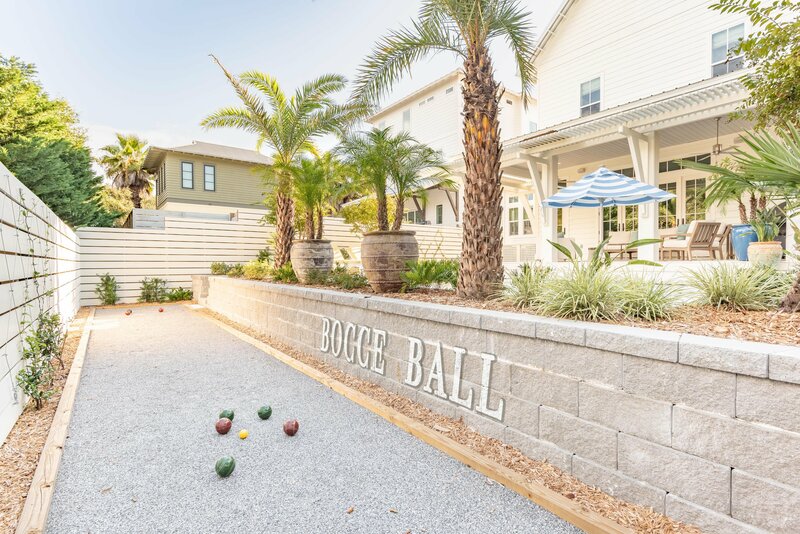 The large lot provides the perfect setup for outdoor entertaining with a large covered porch, outdoor grill, gorgeous pool, bocce ball court and beautiful landscaping. 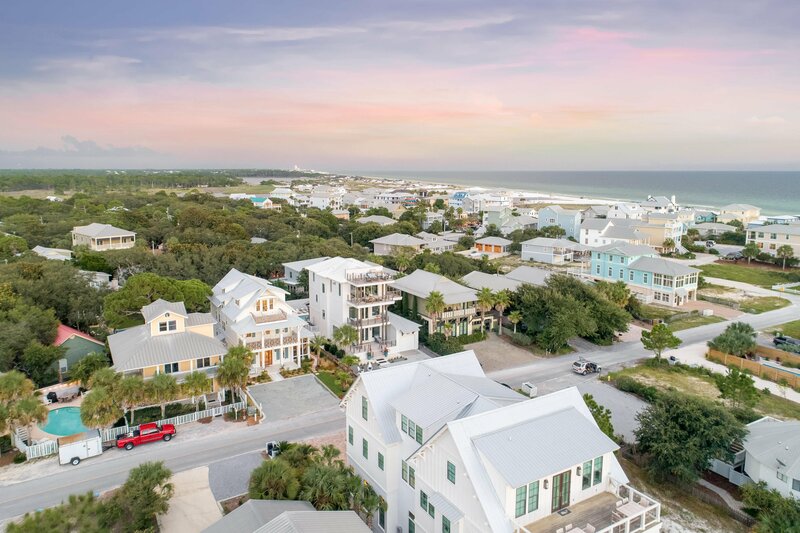 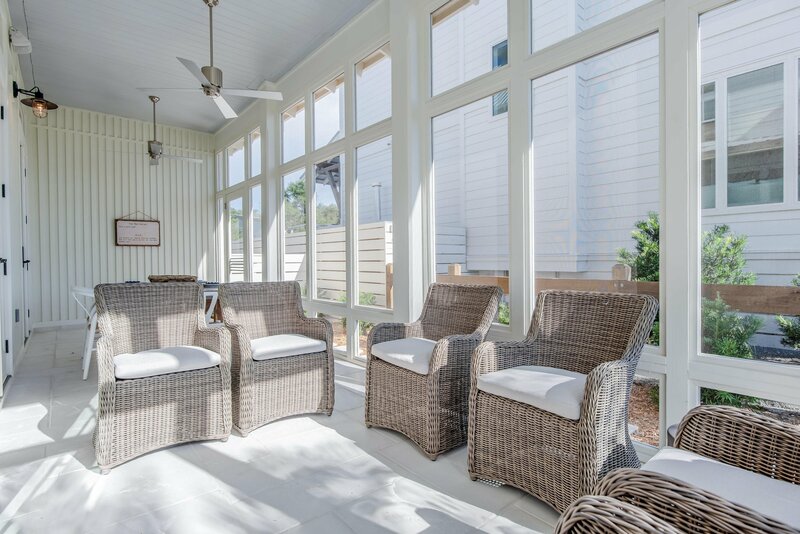 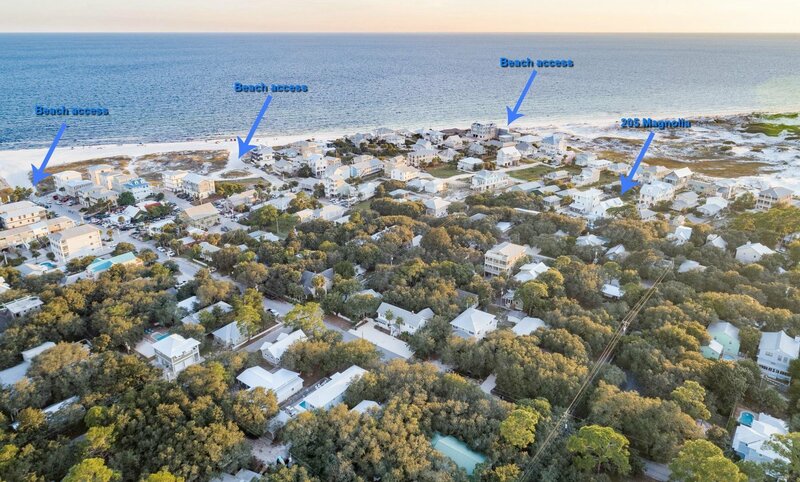 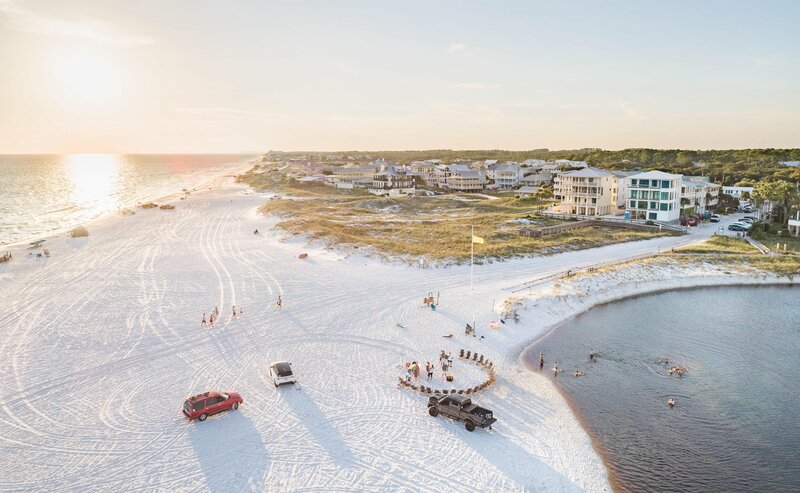 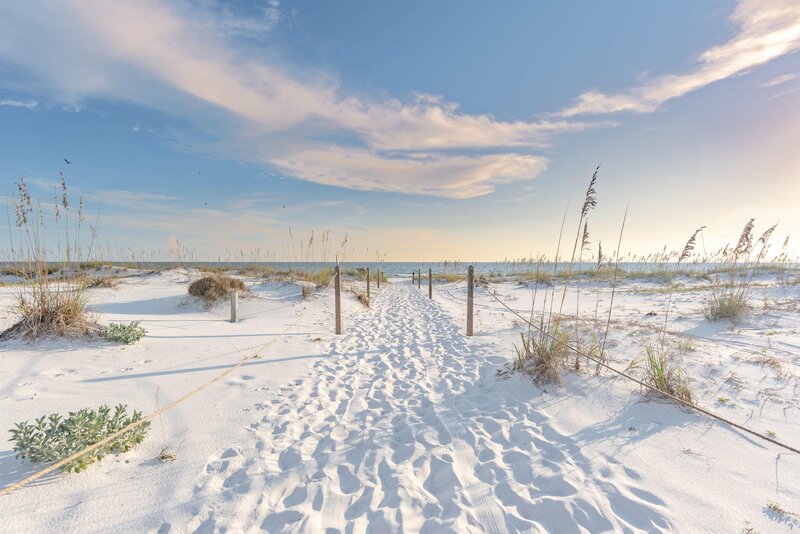 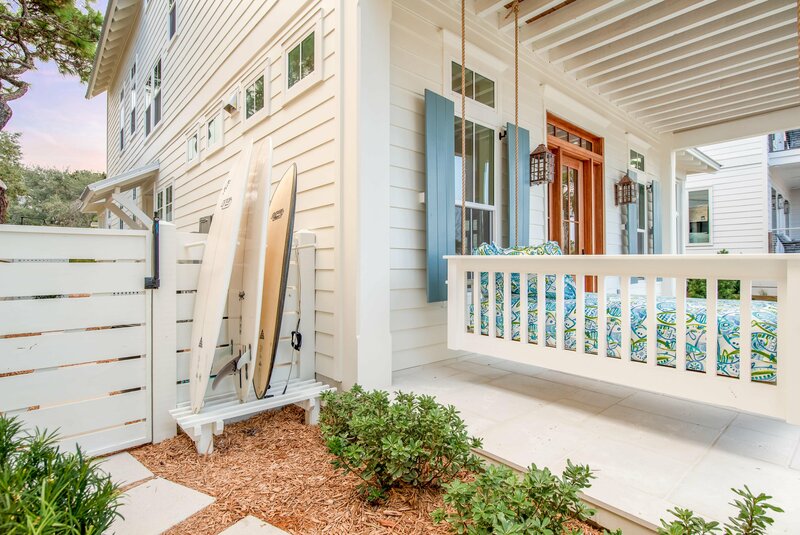 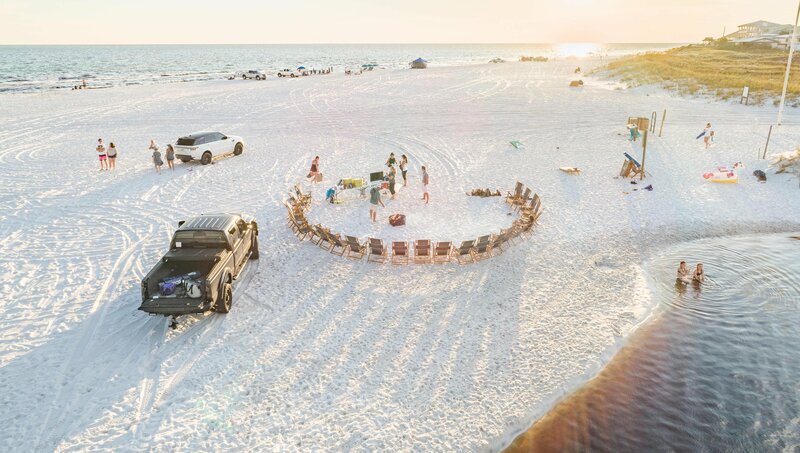 This coastal beach home comes completely furnished so you may start enjoying the Grayton Beach life!